The new, all-electric Renault Master Z.E van is now available from £45,700 excluding VAT (after the Government PiVG). The new Master Z.E van has a payload of up to 1,128kg and is ideal for emissions-free last-mile deliveries in city centres. The Master Z.E. combines the new-generation 33 kWh battery and an efficient motor to provide a real-world driving range of 74 miles with half payload and a charging time of empty to fully-charged in only six hours. The Master Z.E. is available in a choice of three wheelbase configurations – SWB, MWB and LWB – with a choice of two roof heights, LR & MR. All are based on the well-equipped Business specification. Specific equipment that is unique to the New Master Z.E. includes a side Z.E. charging socket, pre-heating function, and Z.E. voice – a specific sound that the vehicle makes at low speeds in order to be more noticeable to pedestrians. Options include a charging cable suitable for a domestic three-pin plug and a three-year renewal subscription to My Z.E Connect, which, when combined with the R-Link media system, lets you view the vehicle’s range on a smartphone or computer. 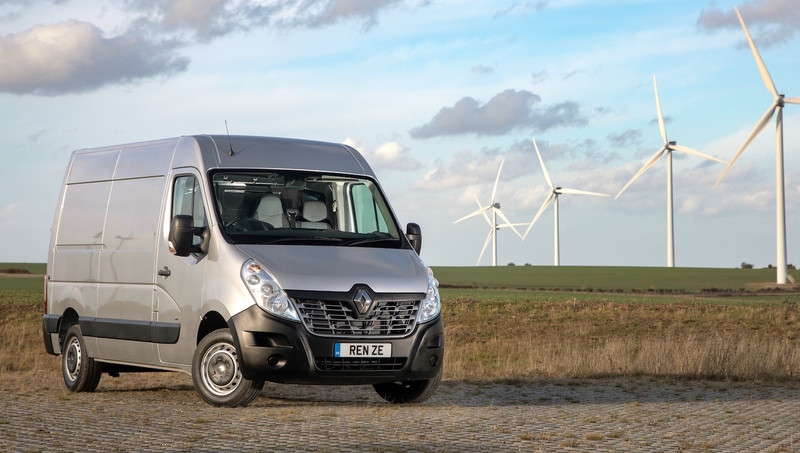 The Renault Pro+ Business Centre network is also able to offer customers a wide range of tailor-made converted vehicles based on the New Master Z.E via its accredited convertor programme, which currently lists over 30 convertors who have all met the standards demanded by the manufacturer. Current conversions include Luton body conversions, refrigerated units and parcel delivery conversions to name a few. 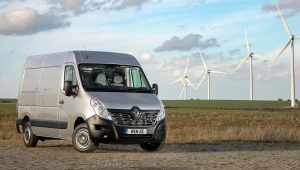 Together with the New Renault Master Z.E., the range of electrified Renault Pro+ Commercial Vehicles include the Kangoo Z.E. 33 – available in Panel Van, Maxi, Maxi Crew Van and Maxi Crew Van Cab bodystyles – and the Twizy Cargo quadricycle, which replaces the passenger seat with a 180-litre, 75kg load area.